This might sound like a good idea especially if you think you can accomplish more in a certain amount of time. But here’s the thing…while for some it works, for so many it doesn’t! And they usually end up with a lot of unfinished stuff. Trick is to know yourself! Can you handle more things in the same amount of time? My tip is to try it out and see what works for you. If you can do it and you realise that it helps with your productivity then DO IT. If not, better stick to one thing until you finish and then move to something else. By the way…there’s nothing wrong with focusing on just one thing and also nothing wrong with multitasking as long as it gets the job done! 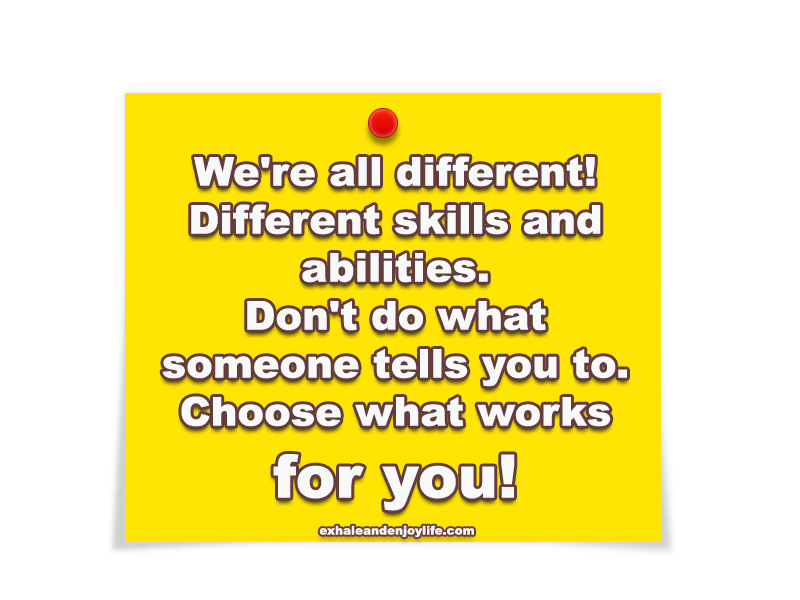 We’re all different, different skills and abilities. Don’t do what someone tells you to, choose what works for you! When you’re going through difficult situations and bills knock on your door you might have the tendency to take more than you can handle. Can you really handle it? Think of what other things you have to do, and be honest on how long it’s going to take to finish the work. Don’t take more than you can handle. You think you can do it and it seems like a good way to get more in less time but can you actually do it? Don’t try to be superhuman. Taking more than you can carry can put a lot of stress on you, pressure, anxiety kicks in and instead of getting things done you’ll find yourself overwhelmed, exhausted and well, with even more things to do. Be honest with your capabilities and choose a good time frame that will allow you to finish whatever you’re working on without causing you too much stress. If you’re thinking about skipping your break just so you can gain a few more minutes to finish your work, think again! Yes, you can totally skip it but is it worth it? There are so many people ruining their health just because they’re skipping breaks, skipping meals, skipping sleep and so on! Take breaks as often as you can. If what you do involves sitting at a desk, driving for too long or just sitting in a certain position for hours it can have awful effects on your health! Bad posture, stiffness, back pain, numbness in legs, stiff neck, cramps, muscle weakness are just a few to name. So make sure you’re taking breaks. If the work you need to finish requires you to stand or constantly move also take breaks to rest and give your body some time to recover. Breaks are also good for the brain! Changing your focus on something else can help you think better, come up with new ideas and see things from a different, fresh perspective. I feel like a lot of people freak out when they hear the word discipline because they see it like something tough! For so many it means something unpleasant. And I can totally understand why they feel like that. If you look it up in the dictionary to see what it means or look how some people teach discipline, I don’t like it either! But, that’s not discipline to me. The way I see it, for me discipline is having the strength to do what you should be doing, when you should be doing instead of making excuses or looking for a way to procrastinate. Build the habit of being productive. No it’s not easy. Yes it takes time but if you stick to it you’ll get the reward. The tendency to postpone and procrastinate is huge but you have to overcome it. What would get you results? For sure procrastinating won’t! Check out my post on how to stop bad habits and build some healthy ones! When it comes to post its, sticky notes or however you want to call them…some like and use them, some don’t. They’re small, colorful, they will stick to pretty much everything you attach them to, you can place them everywhere and they are perfect for reminding you what you need to do. If you’re losing track, forget what you need to do, maybe you should give them a try. You can organize the tasks by the color of the sticky notes, make it a little bit fun. Some like to carry a small notebook with them in which they write what they need to do. Boards come in all colors, shapes and sizes too, you can even make your own. Obviously since they’re bigger than post its you have more space to plan in detail but…you can’t really take the board with you. But a post it you can take it anywhere. If you prefer technology…you can write on your phone or on computer. You can find online so many planning apps that will help you. There are so many options available just pick what works for you. Best thing to keep in mind is that planning is great but in order to achieve what you’re planning you have to take action. 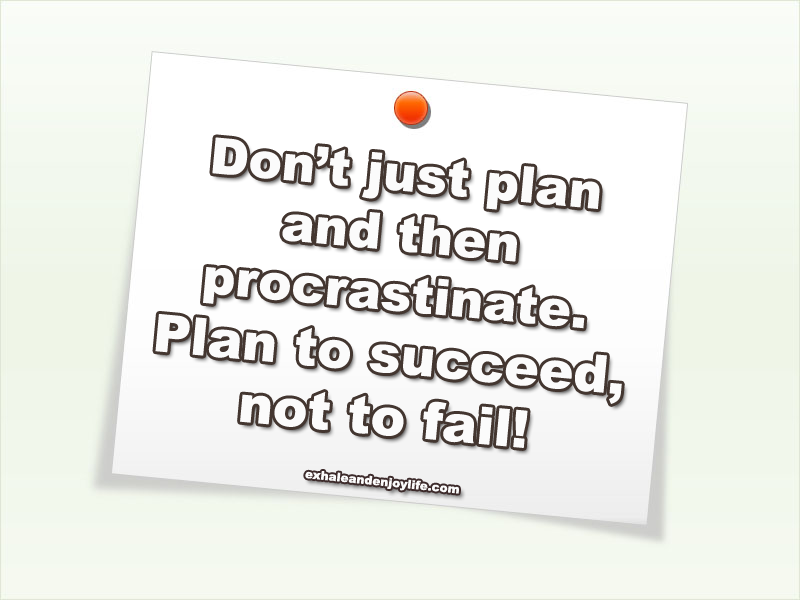 Don’t just plan and then procrastinate. Plan to succeed, not to fail! While perfect moments do exist, most people wait forever for one. Then, when they look back they start regretting for not taking action. They notice they had so many perfect moments to do it. But they didn’t! Stop waiting and postponing. Time flies, make that perfect moment now! If you fail, you’ll learn something and do it better next time. If you succeed you’ll call it perfect moment! Not everything has to be perfect in order to be ok or to work out! 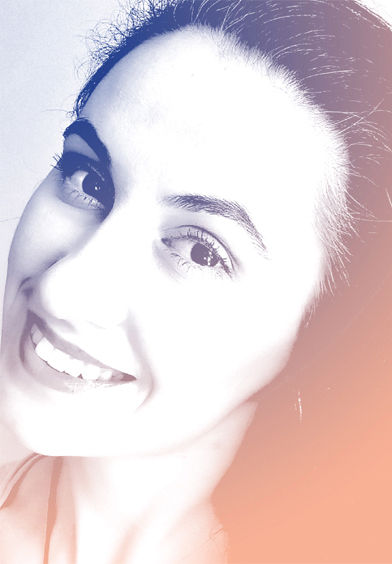 Sometimes just by trying to be or do things perfectly you’ll miss so much of the fun! Instead of focusing on perfection focus on doing it right! Do it as best as you can. You’ll actually notice that if you stop worrying about perfection and focus on just doing your best, most of the time you’ll end up getting perfect results! Some work best in the morning, some are more productive at night! When are you most productive? Early morning, midday? Evening? Night? Also you might be more productive for different things at different times of the day. Find out and try to get things done in that period of time! Living a healthy lifestyle can help you function and perform at your best in all your tasks. Make sure you’re drinking enough water, not skipping meals and eat as healthy as you can. Don’t forget how important rest is. If you’re not sleeping enough your energy levels will drop, you’ll feel tired, irritated, your creativity will also decrease along with your immune system. You’re not functioning at your best! So make sure you’re getting enough sleep! See here more tips on how to stay healthy! There’s no shame in asking for help! If you can’t handle what you’re doing don’t be afraid to ask for help. No matter how many tips and tricks and books you’ll read, no matter how many plans and to do lists you’ll write just to end up in the trash, unfinished, it won’t help you and it won’t get you results unless you take action!